Happy March friends! I hope you are recovering from all your Mardi Gras fun yesterday! 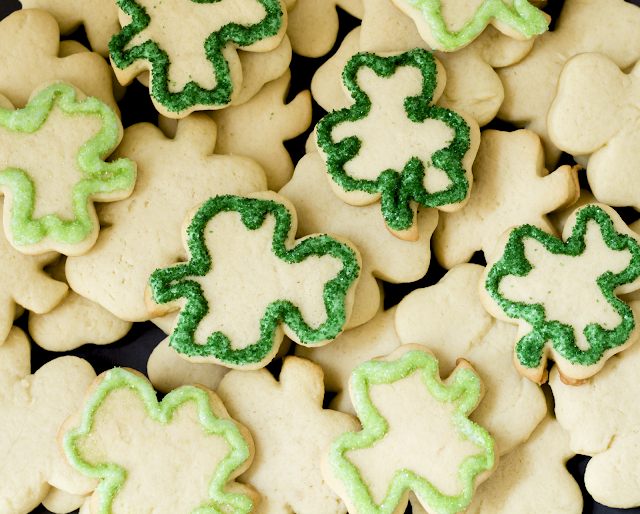 We are more than ready to celebrate our Irish heritage the next few weeks. 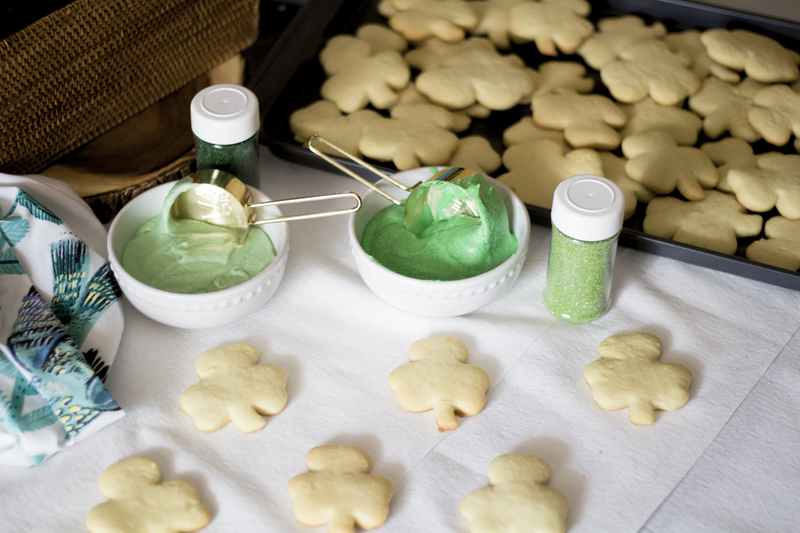 I've rounded up some of our favorite St. Patrick's Day goodies, including both sweet and savory options. There's something here for every meal, plus dessert! We're super excited for our town's St. Patty's Day parade next week, and already have all our green outfits lined up. Normally we have a traditional Corned Beef and Cabbage dinner on the 17th, but it coincides with the start of Spring Break this year, so we may be travelling - we'll see! Jacob and I did some pre-gaming this weekend, test driving new (to us) sugar cookie and lime float recipes. 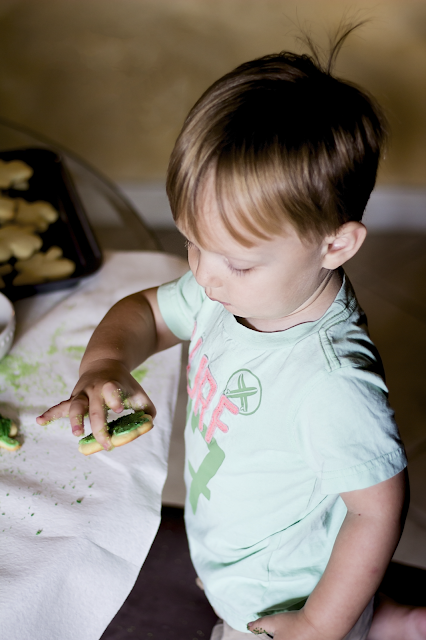 An entire shaker of green sprinkles may have gotten poured out onto my dining room table, but it was good fun anyways. Rainbow Pancakes // How cute is that whipped cream cloud? St. Patrick's Day Pasta // As green as it gets, and with broccoli too. Corned Beef and Cabbage // You can't go wrong with this traditional favorite. Irish Soda Bread // Perfect to serve with your corned beef. Bailey's Brownie Batter Dip // The only thing better than Baileys, is Bailey's with chocolate. Rainbow Trix Treats // These were a HUGE hit last year with Jacob and his buddies. Green Fruit Skewers // Healthy and Festive and not likely to cause sugar comas. Mint Chocolate Chip Cookies // My favorite ice cream... in cookie form. 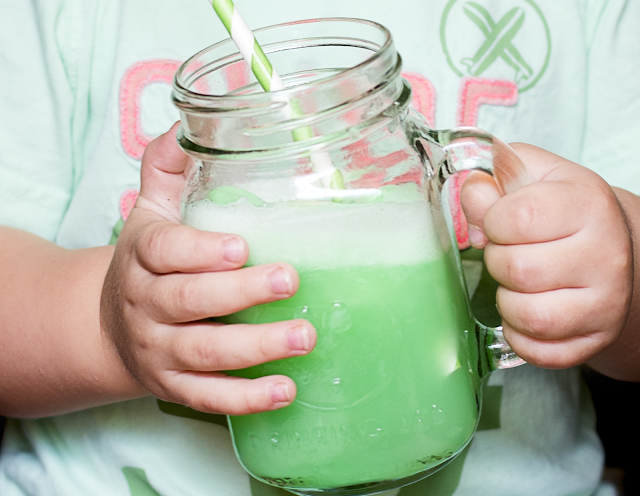 Lime Sherbet Floats // Just in case you run out of Baileys! I have fun activities and crafts in my St. Patrick's Day playdate post, and I have even more recipes on my pinterest board - check those both out for more inspiration.